This 8" wide x 10" tall 159 page hard cover book titled: A Century of Guns by H. J. Blanch is in ver.. This 9" wide x 11 1/2" tall 336 page hard cover book titled: Checkering and Carving of Gunstocks is .. This 8 1/2" wide x 11" tall 166 page soft cover book titled: Civil War Pistols: A survey of the hand.. 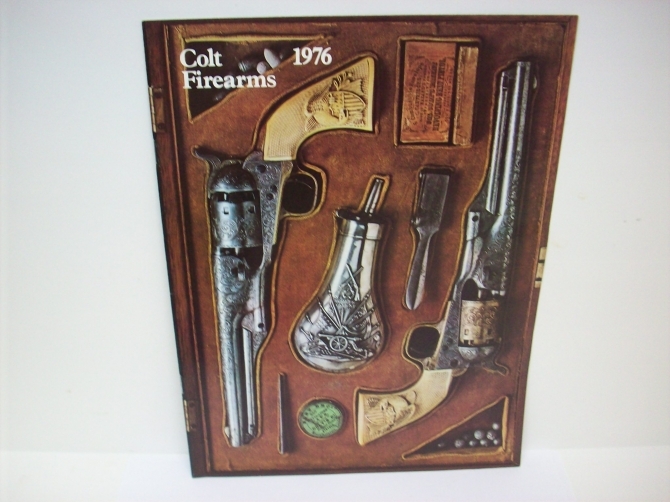 This 1976 Colt Firearms catalog measures 8 1/2" x 11" and contains 22 pages of products including su.. 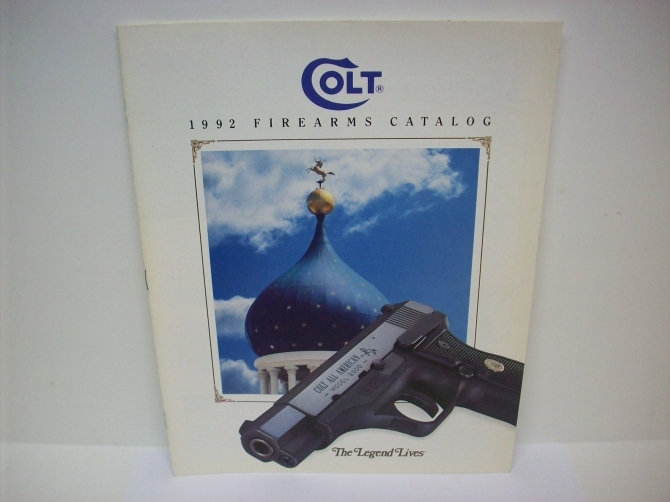 This Colt manufactured 24 page 8 1/2" x 10 7/8" firearms catalog of 1992 features their full line of.. 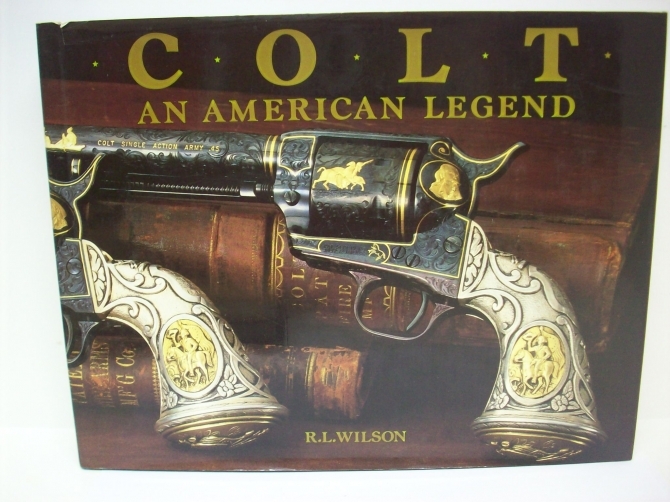 This 11 3/8" wide x 8 3/4" tall colorful 406 page hard cover book titled: Colt - An American Legend .. This 8 1/4" wide x 11" tall colorful 256 page soft cover book titled: Colt Memorabilia Price Guide b.. This 3 1/4" wide x 5 1/2" tall 61 page soft cover booklet titled: Colt's Dates of Manufacture is in .. This 6 1/2" wide x 9 1/2" tall 292 page hard cover book titled: Early Percussion Firearms: A History.. This 9 1/4" wide x 11 1/4" tall 32 page spiral bound soft cover book titled: Encyclopedia of Old Poc.. This 8 1/4" wide x 10" tall 270 page soft cover book titled: Famous Automatic Pistols and Revolvers .. This 8 1/4" wide x 10 3/4" tall 288 page soft cover book titled: Firearms Assembly/Disassembly Part .. This 6 1/2" wide x 9 1/2" tall 333 page hard cover book titled: Firearms of the Confederacy by Claud.. These 7" wide x 9 3/4" tall 717 and 429 page hard cover books titled: Firearms Past and Present: A c.. 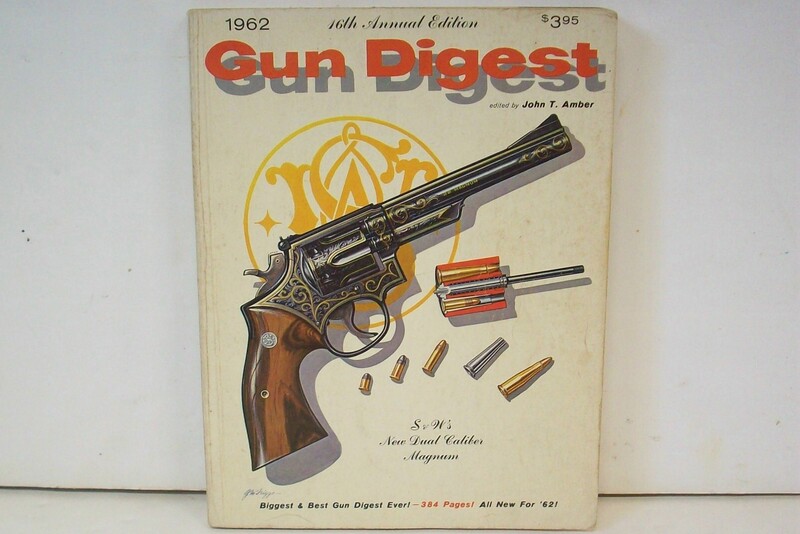 This 8 1/2" wide x 11" tall 384 page soft cover book titled: Gun Digest is in very good condition wi.. 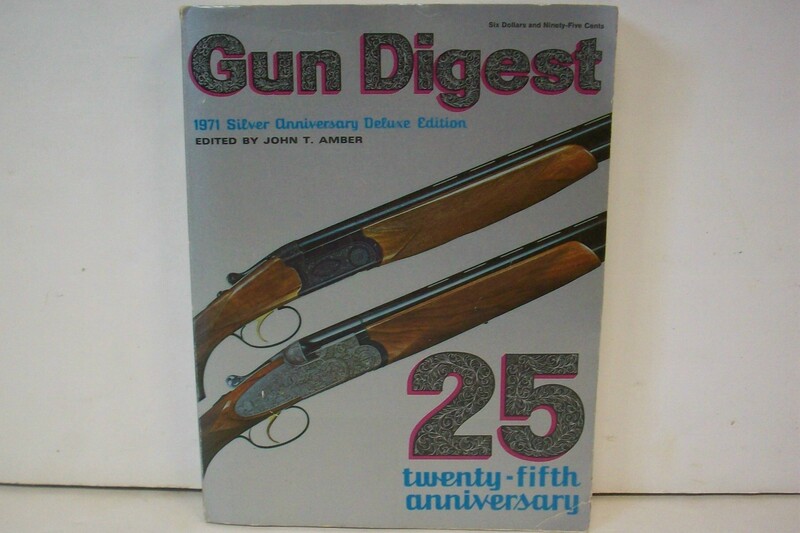 This 8 1/2" wide x 11" tall 480 page soft cover book titled: Gun Digest 1971 Silver Deluxe Edition i.. 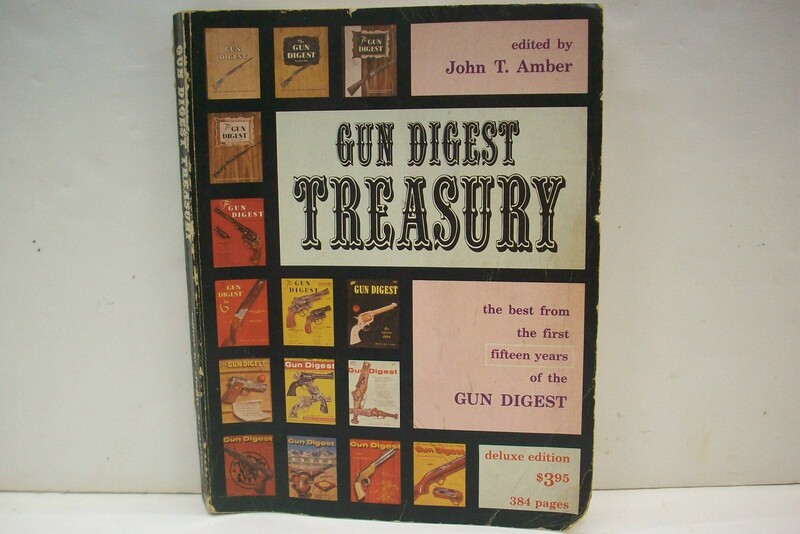 This 8 1/2" wide x 11" tall 384 page soft cover book titled: Gun Digest Treasury is in good conditio.. This 6 1/4" wide x 9 1/4" tall 395 page hard cover book titled: Guns on the Early Frontiers: A Histo.. These 6" wide x 9" tall 3 volum set with 490 plus page hard cover books are titled: Gunsmith Kinks, .. This 6 3/8" x 9" spiral bound 153 page soft cover hand book titled: Handbook for Shooters and Reload.. Hunting Farmland Bucks - Hard Cover Book - by John Trout, Jr. This 6 1/2" wide x 9 1/2" tall 228 page hard cover book titled: Hunting Farmland Bucks by John Trout.. This 6" wide x 9" tall 213 page soft cover book titled: Hunting Mature Bucks by Larry Weishuhn is in.. This 8 1/2" wide x 6" tall 144 page hard cover book titled: Infantry Support Weapons: Mortars, Missi.. This 8 3/4" wide x 6 1/4" tall 143 page hard cover book titled: Kalashnikov: Machine Pistols, Assaul.. 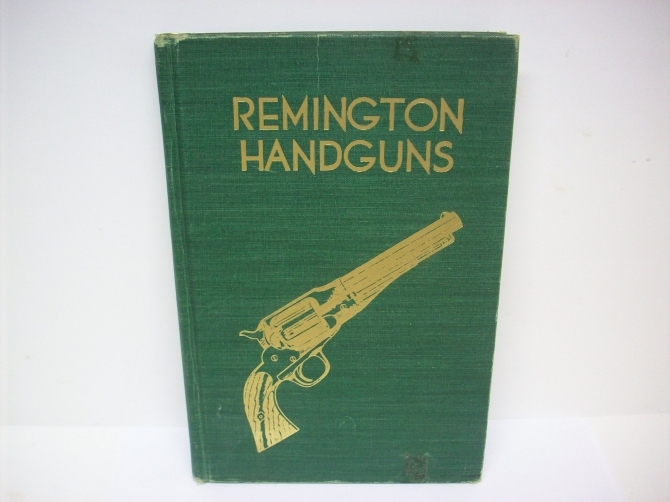 This 8 1/2" wide x 11" tall 116 page soft cover book titled: Learn Gunsmithing: The Troubleshooting ..
Lugers at Random - Hard Cover Book - by Charles Kenyon Jr. 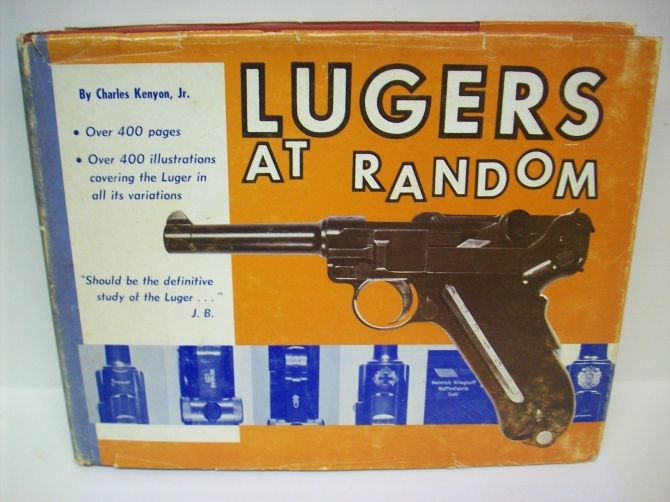 This 416 page 11 1/4" x 8 3/4" hard cover book is titled "Lugers at Random" and is by Charles Kenyon.. This Marlin 24 page 8 1/2" x 11" 1969 sporting firearms catalog is in near excellent condition excep.. 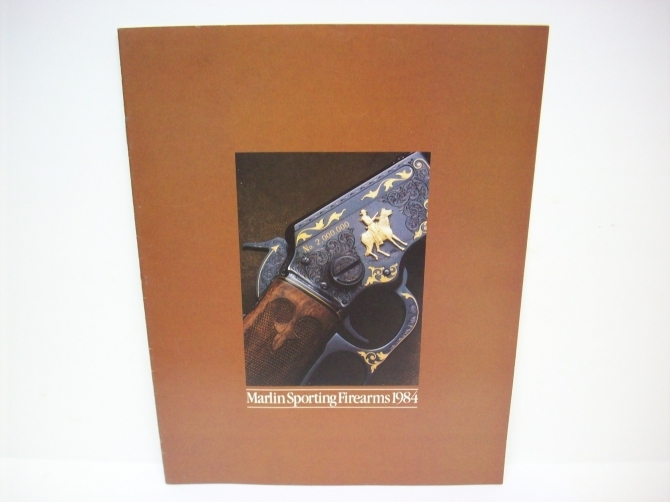 This Marlin manufactured 32 page 8 1/2" x 10 7/8" 1970 sporting firearms catalog is commemorating th.. 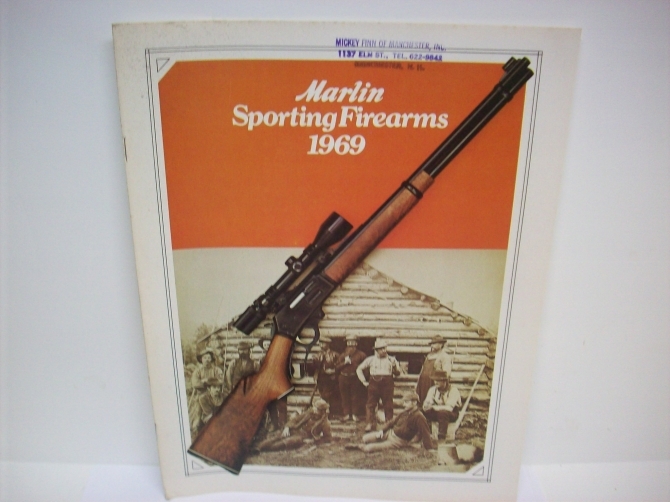 This Marlin manufactured 24 page 8 3/8" x 10 7/8" sporting firearms catalog for 1984 features a vari.. 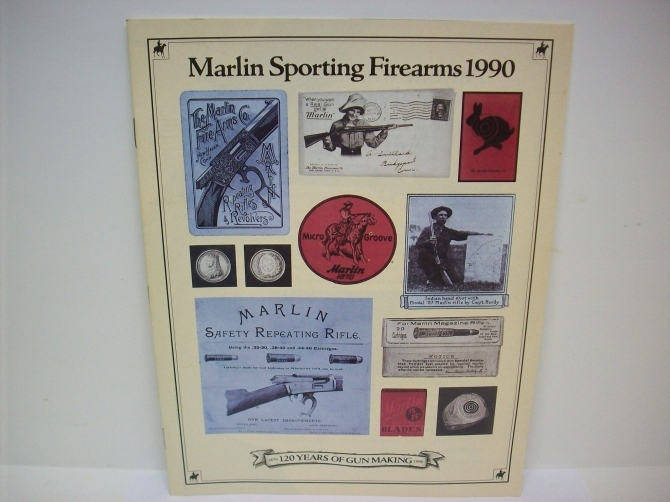 This Marlin manufactured 24 page 8 3/8" x 10 7/8" sporting firearms catalog of 1990 is commemorating..
Marlin Firearms - Hard Cover Book - by Lt. Col. William S. Brophy, USAR, Ret. 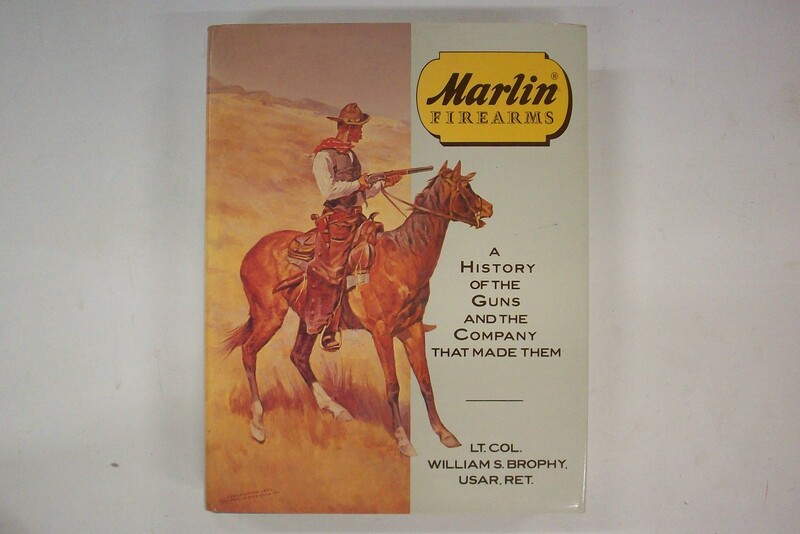 This 11" tall x 9" wide 696 page hard cover book titled: Marlin Firearms: A History of the Guns and .. This 8 1/2" wide x 6 1/4" tall 144 page hard cover book titled: Modern Machine-Guns by John Walter i.. This 8 1/2" wide x 11" tall 304 page soft cover book titled: Mossberg: More Gun for the Money is in .. This 8 1/4" wide x 10 1/4" tall 512 page soft cover book titled: New York World's Fair 1939 Jubilee .. This 8 1/2" wide x 11" tall 400 page soft cover book titled: Old Rifle Scopes is in excellent condit.. 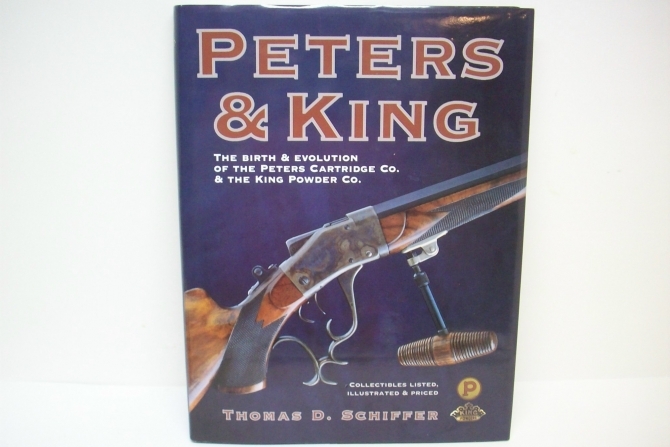 This 2002 copyright dated 256 page hard cover book titled "Peters & King" by Thomas D Schiffer i.. This 126 page 9 1/4" x 6 1/4" green hardcover book is by Charles Lee Karr Jr and has a 1947 copyrigh.. 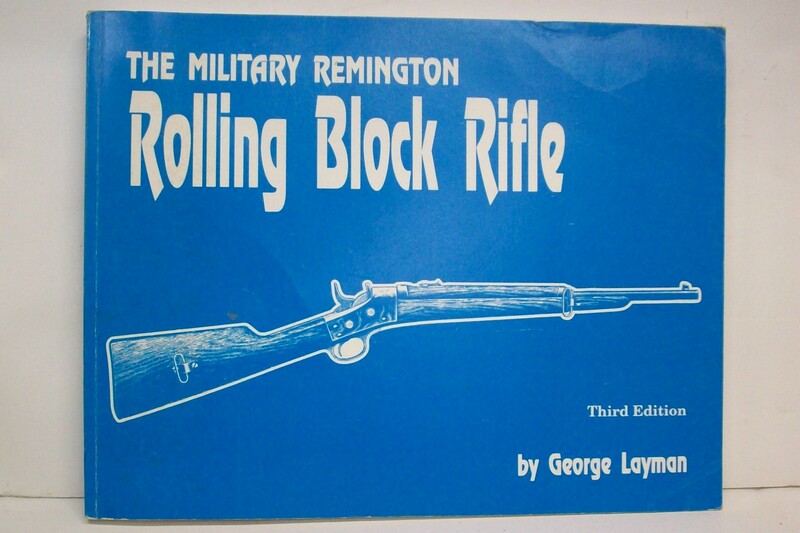 This 8 1/2" wide x 11" tall 61 page soft cover book titled: Remington Rolling Block Firearms by Konr.. 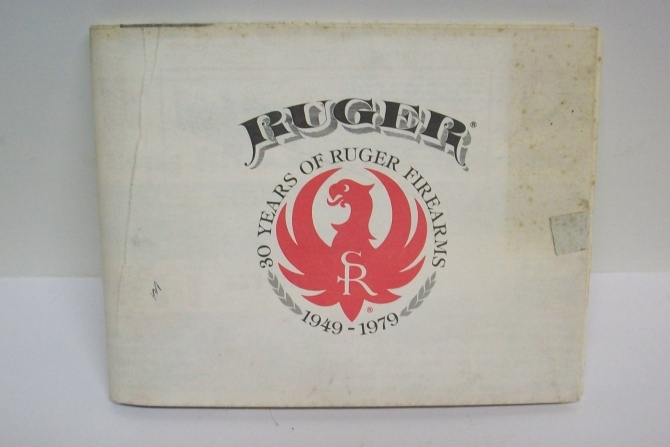 This 11 1/2" wide x 8 3/4" tall 358 page hard cover book titled: Ruger & His Guns: A History of .. This 1979 Ruger manufactured folded firearms catalog is in very good condition with some foxing and .. 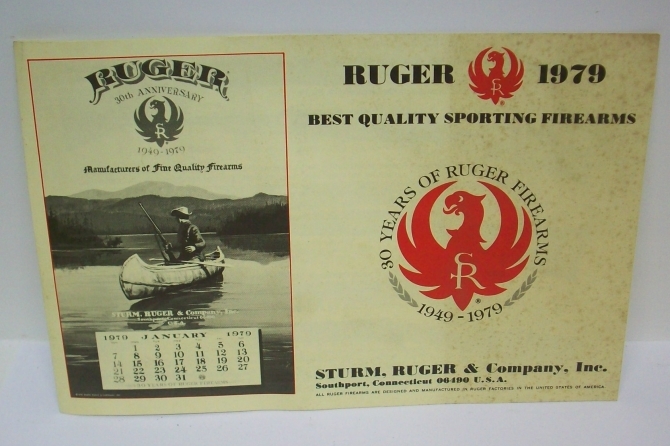 This 1979 Ruger 5 1/2" x 8 1/2" off white pictoral 6 page mini catalog is commemorating 30 years of .. 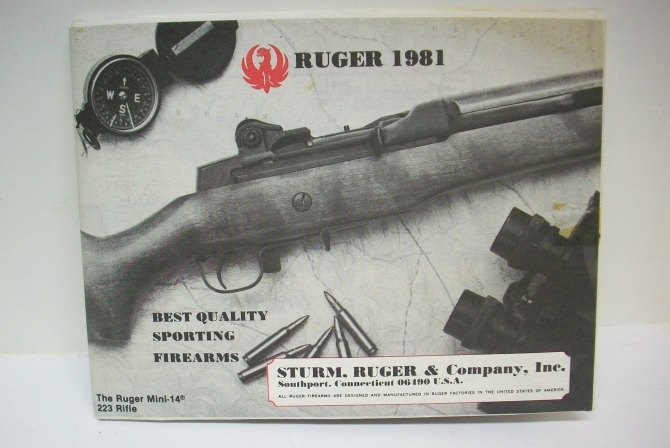 This 1980 Ruger manufactured firearms catalog is in very good condition having foxing and light wear.. 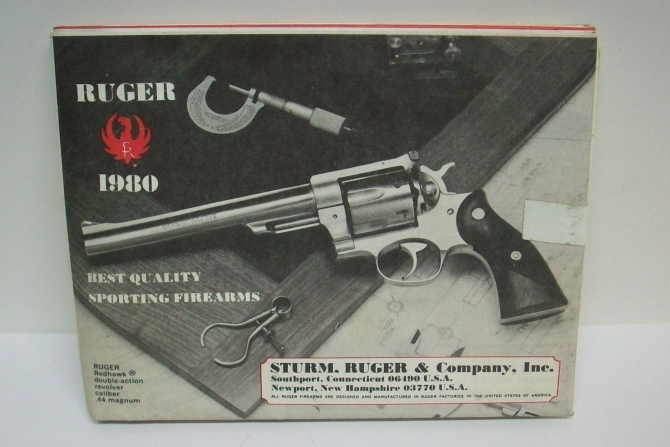 This 1981 Ruger manufactured folded firearms catalog features the full line of rifles, shotguns, and.. 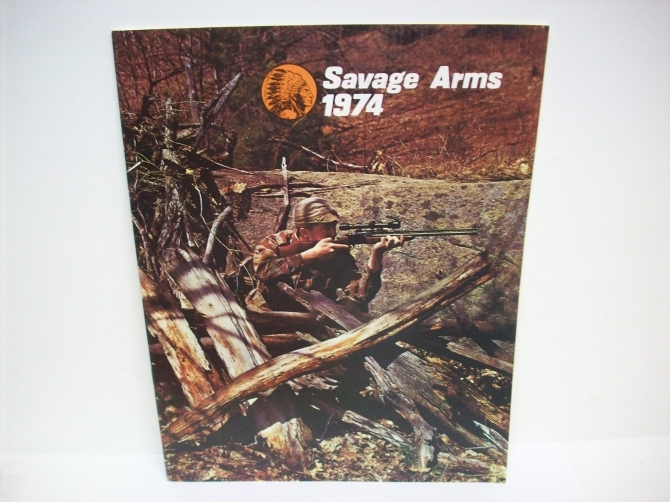 This Savage 8 3/8" x 10 7/8" 24 page fire arms catalog of 1974 contains their full line of rifles an.. This 8" wide x 10" tall 512 page soft cover book titled: The Shooter's Bible by Stoeger is in good c.. This 8 1/4" wide x 10" tall 544 page soft cover book titled: The Shooter's Bible by Stoeger is in ve.. This 8 1/4" wide x 10" tall 560 page soft cover book titled: The Shooter's Bible by Stoeger is in ve.. This 8 1/4" wide x 10" tall 512 page soft cover book titled: The Shooter's Bible by Stoeger is in ve.. This 8 1/4" wide x 10" tall 512 page soft cover book titled: The Shooter's Bible by Stoeger is in go.. This 11 1/4" tall x 8 1/2" wide hard cover book titled: Sixguns by Elmer Keith contains 335 pages an.. 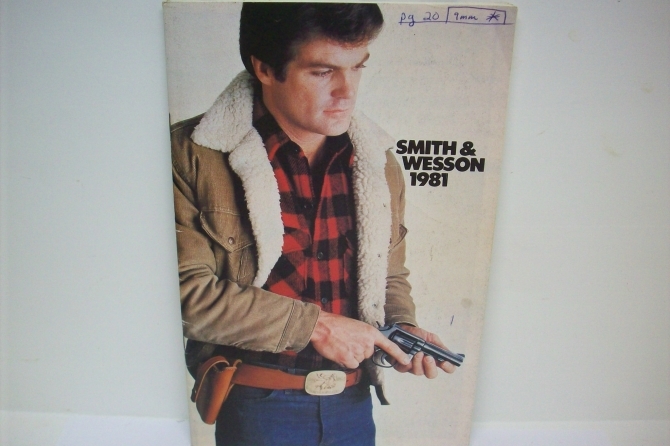 This 1981 Smith & Wesson Firearms and Accessories mini-catalog measures 5 1/2" x 8 1/2" and cont.. 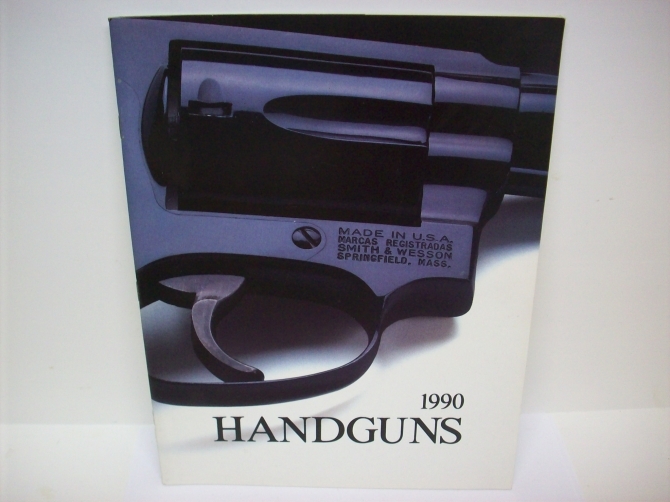 This Smith & Wesson 40 page 8 5/8" x 11" handgun catalog of 1990 includes their full line of pis.. This 8 3/4" wide x 11 1/4" tall 461 page hard cover book titled: Sporting Arms of the World by Ray B.. This 8 1/4" wide x 10 3/4" tall 320 page soft cover book titled: Sporting Rifle Take Down & Reas.. This 8 1/2" wide x 11" tall 352 page soft cover book titled: Standard Catalog of Military Firearms T.. 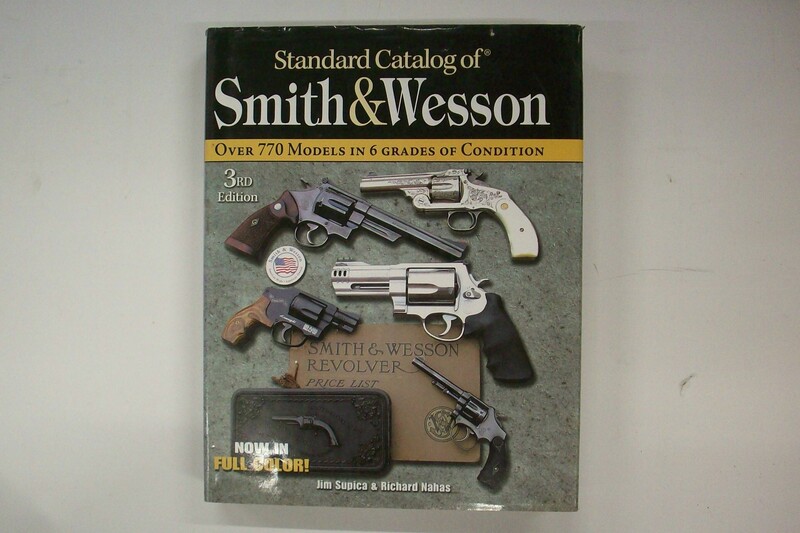 This 11" tall x 8 1/2" wide 320 page hard cover book titled: Standard Catalog of Smith & Wesson .. This 11 1/4" tall x 8 3/4" wide 432 page hard cover book titled: Standard Catalog of Smith & Wes.. This 11 tall x 8 1/2 wide 752 page soft cover book titled: Standard Catalog of Winchester is in exce.. 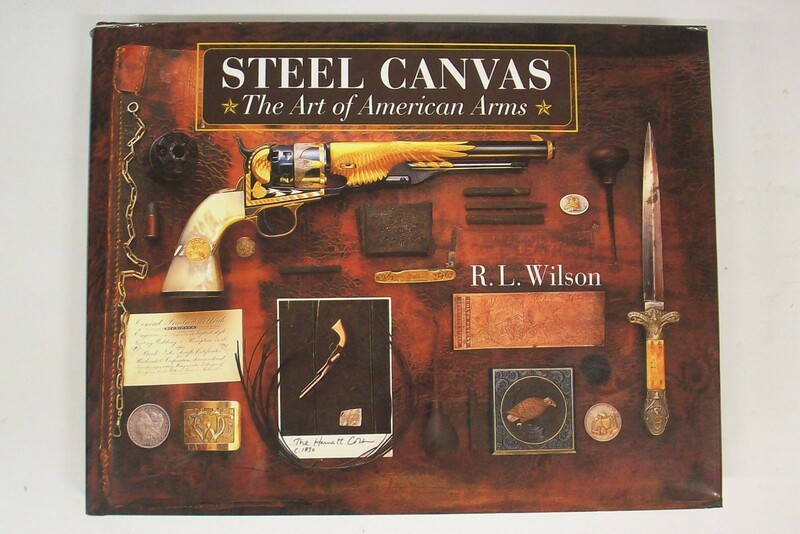 This 11 1/4" wide x 8 3/4" tall 384 page hard cover book titled: Steel Canvas: The Art of American A.. 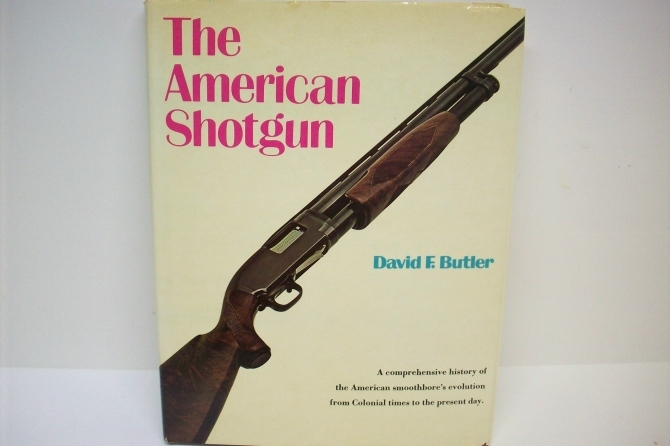 This 1973 copyright dated 243 page hard cover book titled "The American Shotgun" by David F. Butler .. 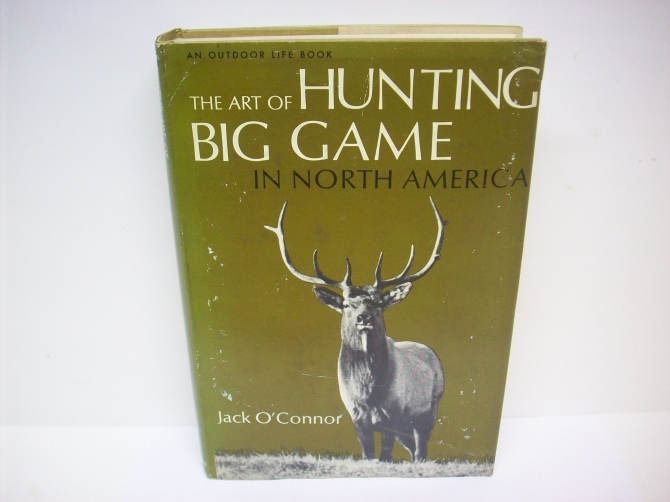 This 404 page 6 3/8" x 9 1/2" hard cover book by Jack O'Connor is titled "The Art of Hunting Big Gam.. 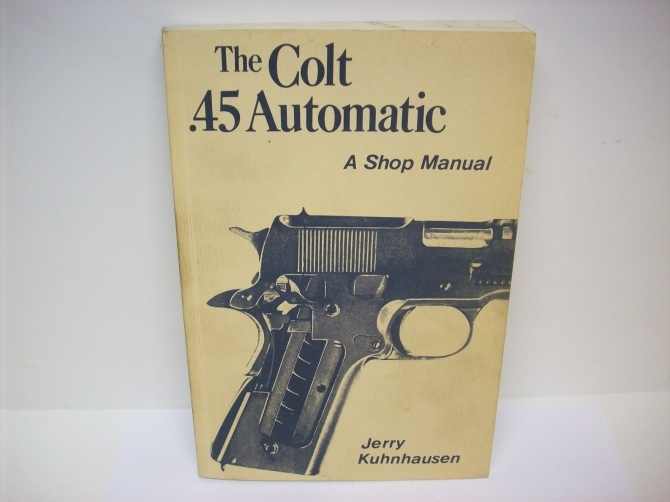 This 6 1/4" x 9 1/8" pictoral 202 page soft cover book titled: The Colt 45 Automatic - A Shop Manual.. This 6" wide x 9 1/4" tall 314 page soft cover book titled: The Hunting Rifle by Jack O'Conner is in.. 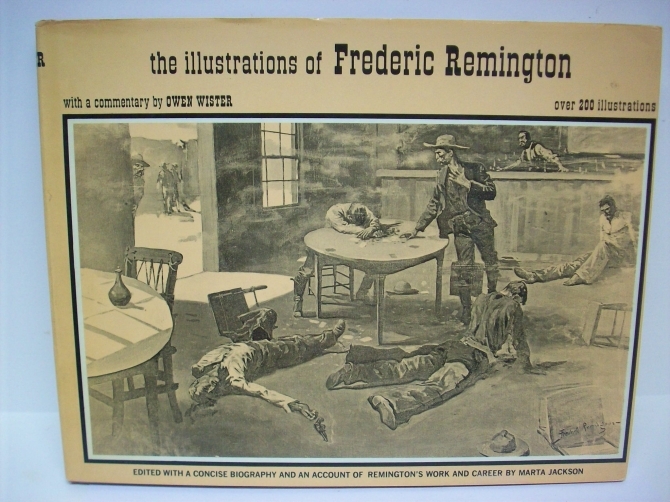 This 190 page 8 3/4" x 11 1/4" hard cover book is titled "The Illustrations of Frederick Remington" .. This 8 3/4" x 11 1/4" hard cover book titled: The Knife in Homespun America by Madison Grant contain.. This 11" wide x 8 1/2" tall 148 page soft cover book titled "The Military Remington Rolling Block Ri.. This 7 1/2" wide x 9 1/2" tall 943 page hard cover book titled: The Modern Gunsmith is in near excel.. 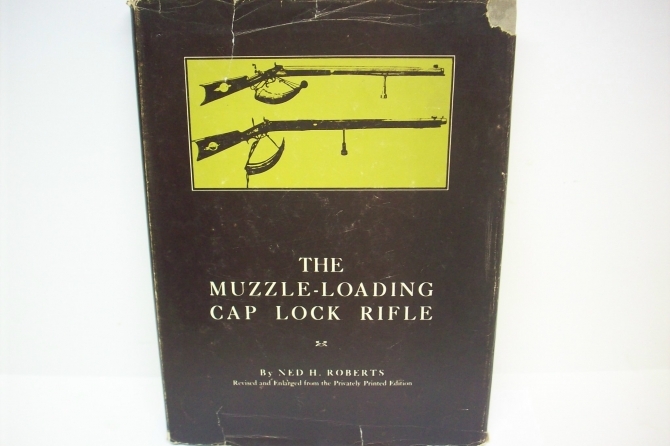 This 308 page 9" x 12" hard cover book titled "The Muzzle-Loading Cap Lock Rifle" is by Ned H Robert.. These 6 1/2" wide x 9 1/4" tall 638 and 546 page hard cover books titled: The NRA Book of Small Arms.. 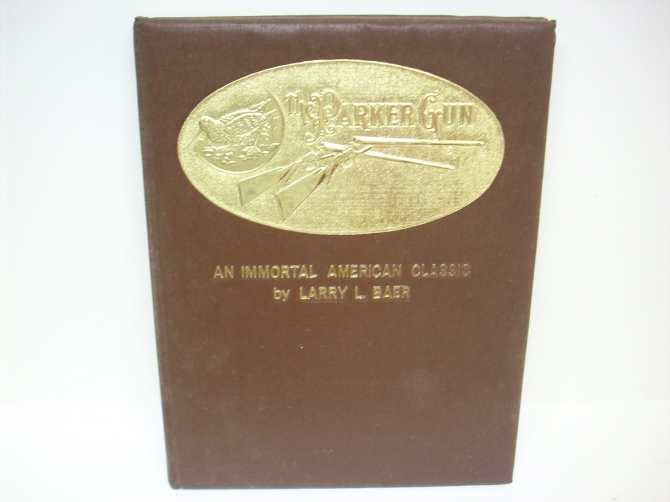 This 8 3/4" x 11 3/8" 94 page hard cover book titled: "The Parker Gun" by Larry L. Baer was publishe.. This 11 1/4" tall x 8 3/4" wide 376 page hard cover book titled: The Pennsylvania-Kentucky Rifle by .. 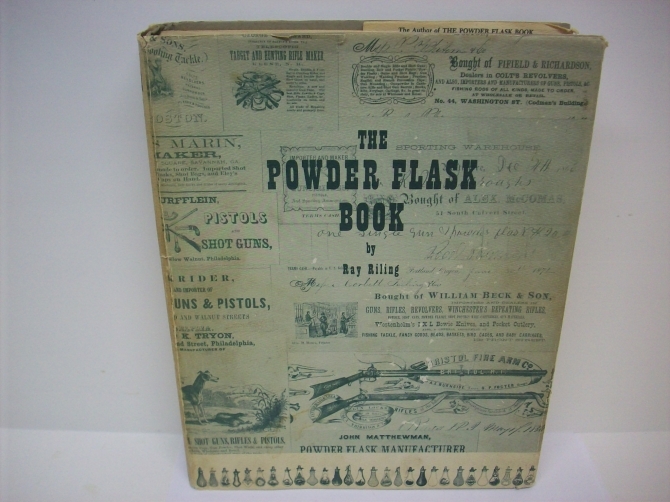 This 8 3/4" x 11 1/4" hard cover book with 500 pages is titled "The Powder Flask Book" by Ray Riling.. This 11" tall x 9" wide 616 page hard cover book titled: The Springfield 1903 Rifles is in near exce.. This 11" tall x 9" wide 655 page hard cover book titled: The Winchester Book 1 of 1000 is in very go.. This 11 1/4" tall x 8 3/4" wide 208 page hard cover book titled: The Winchester Model 94: the First .. 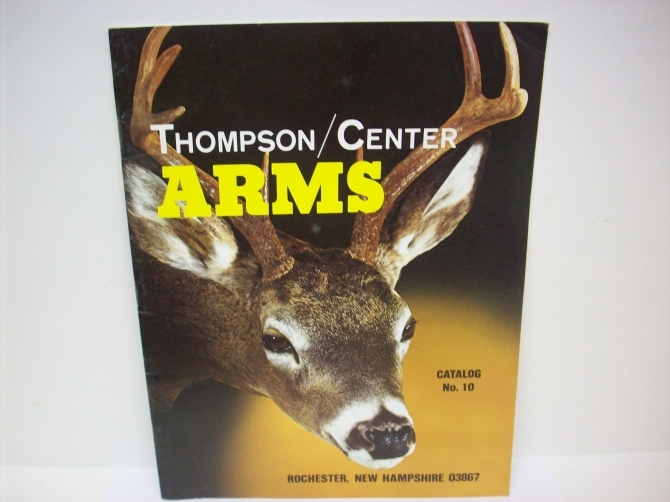 This 1982 Thompson Center Arms catalog No. 9 consists of 32 pages that measure 8 1/2" x 11" in size .. 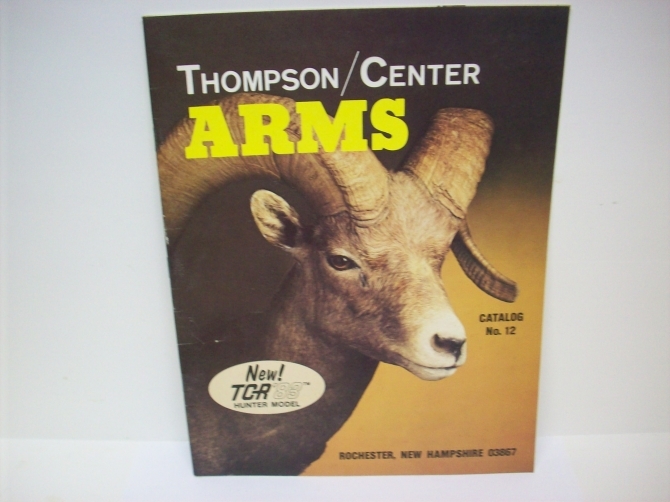 This 1983 Thompson Center Arms catalog No. 10 consists of 34 pages that measure 8 1/2" x 11" in size.. 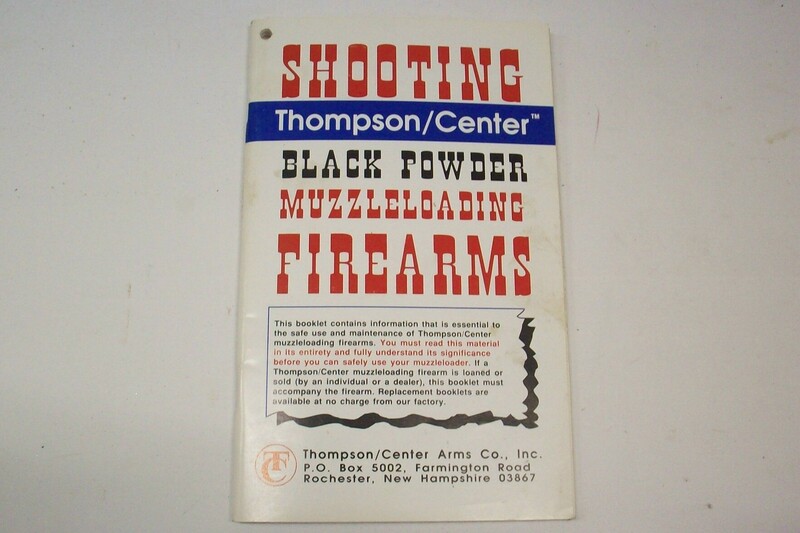 This 1985 Thompson Center Arms catalog No. 12 consists of 32 pages that measure 8 1/2" x 11" in size.. 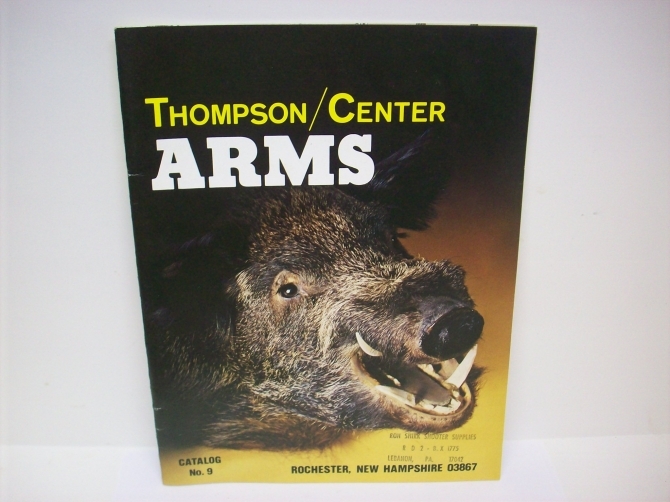 This 1986 Thompson Center Arms catalog No. 13 Revised consists of 38 pages that measure 8 1/2" x 11".. 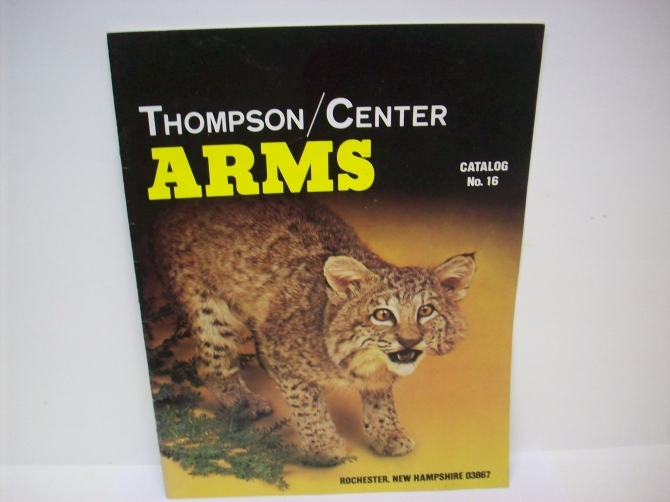 This 1988 Thompson Center Arms catalog No. 15 consists of 50 pages that measure 8 1/2" x 11" in size.. 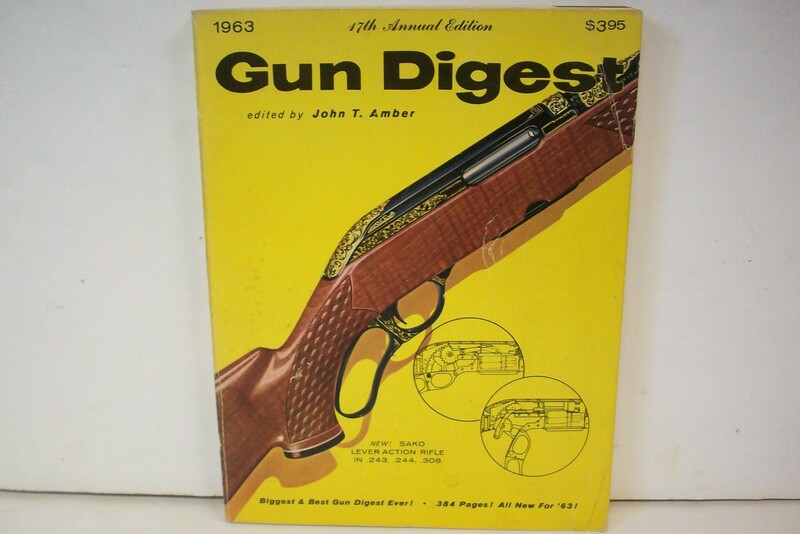 This 1989 Thompson Center Arms catalog No. 16 consists of 40 pages that measure 8 1/2" x 11" in size.. This 1991 Thompson Center Arms catalog No. 18 consists of 48 pages that measure 8 1/2" x 11" in size.. This 1992 Thompson Center Arms catalog No. 19 consists of 56 pages that measure 8 1/2" x 11" in size.. This 1993 Thompson Center Arms catalog No. 20 consists of 52 pages that measure 8 1/2" x 11" in size.. This 1995 Thompson Center Arms catalog No. 22 consists of 60 pages that measure 8 1/2" x 11" in size.. 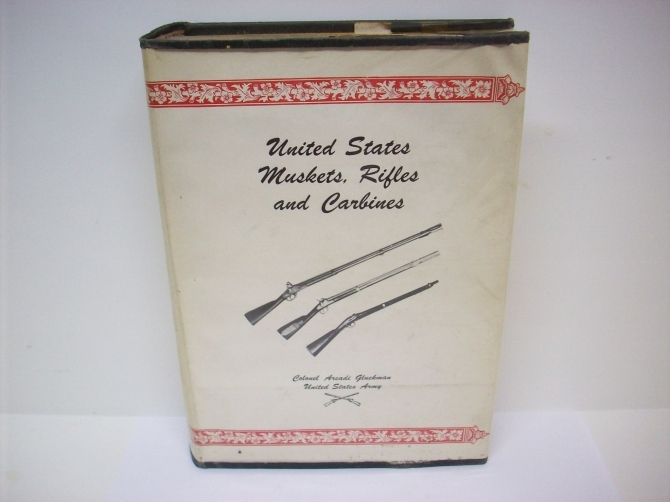 This 542 page 9 1/2" x 6 3/4" hard cover book is titled "United States Muskets, Rifles and Carbines".. These 6 1/2" wide x 10" tall 397 and 582 page hard cover books titled: Wallace Collection Catalogues.. 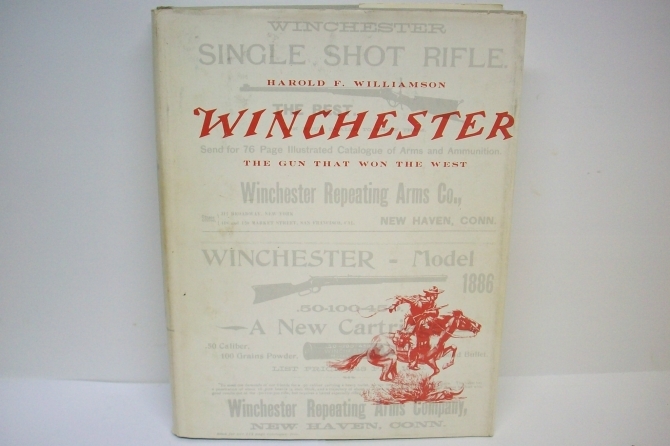 This 1952 copyright dated 494 page hard cover book titled "Winchester - The Gun That Won The West" b.. 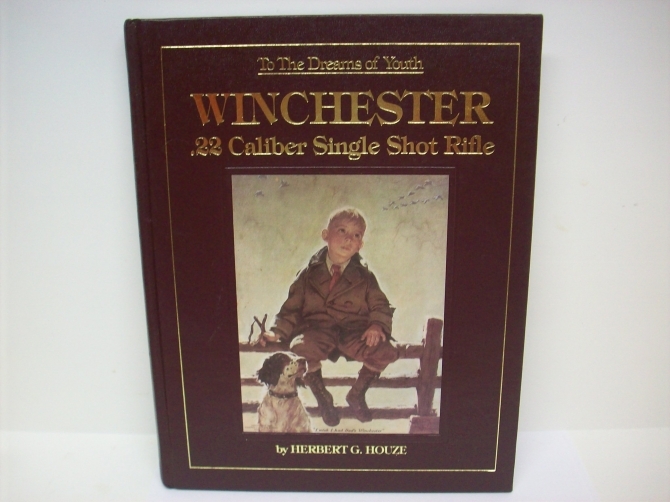 This is an 8 3/4" x 11 1/4" 192 page hard cover book by Herbert G. Houze titled "Winchester .22 Cali.. This reprinted 5 1/4" wide x 8 1/2" tall 64 page soft cover booklet titled: Winchester 1920-1931 Ill.. 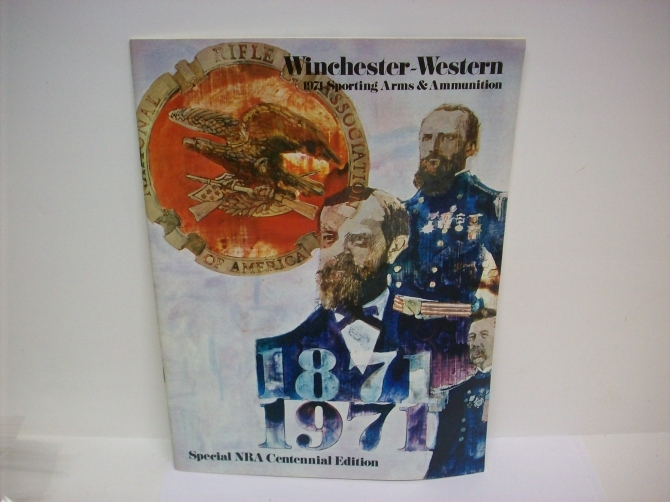 This reprinted 7" wide x 10" tall 292 page soft cover book titled: Winchester 1926-27 Catalog is in .. 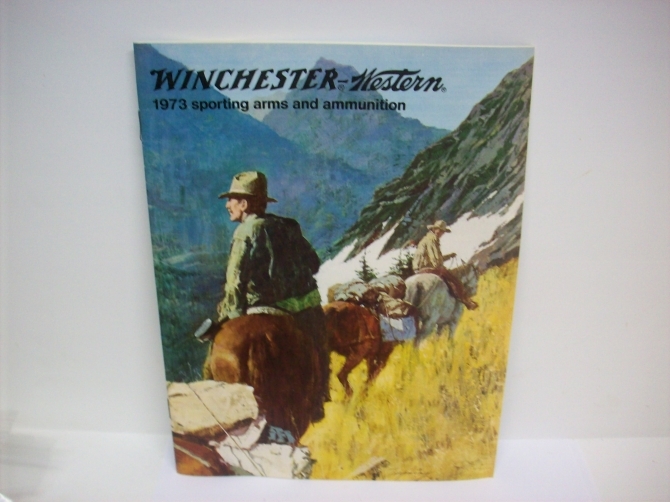 This Winchester 48 page 8 1/4" x 11" sporting arms and ammunition catalog of 1970 features the Lone .. 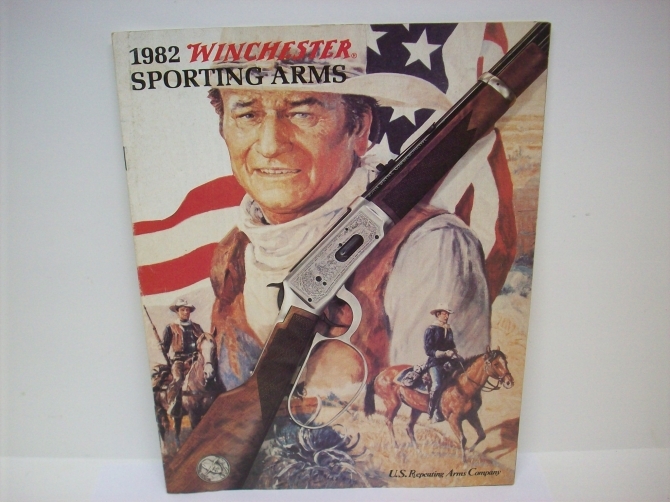 This Winchester 48 page 8 1/4" x 11" sporting arms & ammunition catalog of 1971 features the NRA.. 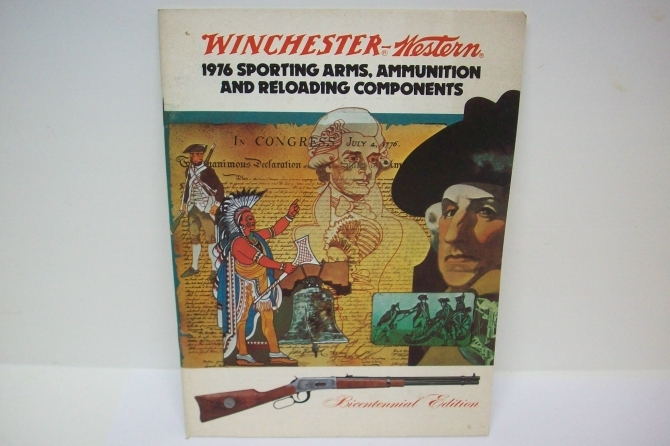 This Winchester 48 page 8 1/4" x 10 3/4" sporting arms and ammunition catalog of 1973 includes their.. 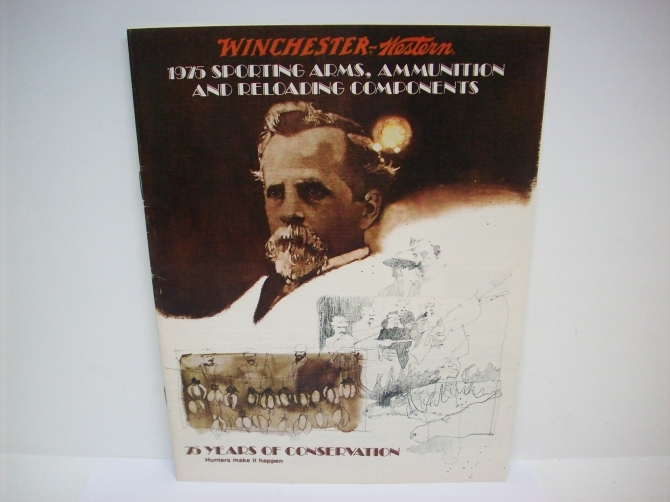 This Winchester 32 page 8 1/4" x 10 3/4" sporting arms, ammunition and reloading components catalog .. This Winchester manufactured 40 page 5 1/2" x 7 1/2" sporting arms, ammunition and reloading compone.. 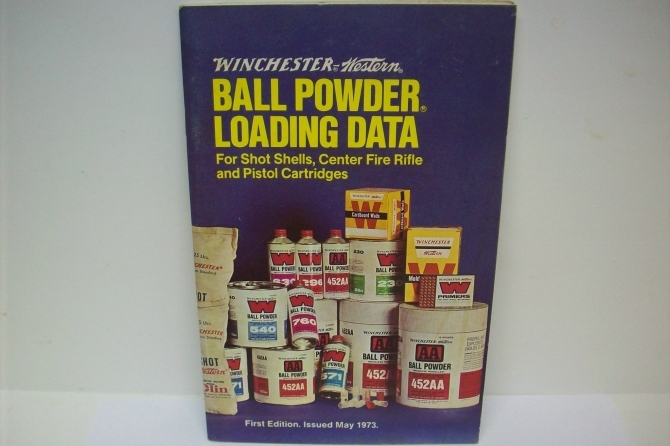 This 1982 Winchester catalog consists of 16 pages that measure 8 1/2" x 10 3/4" in size and features.. 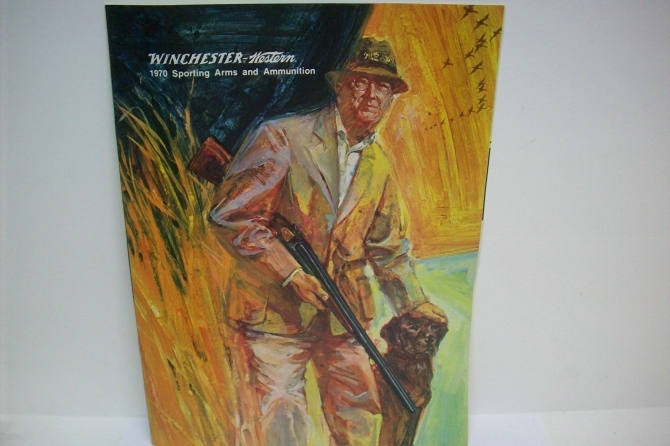 This 11" wide x 9" tall colorful 208 page hard cover book titled: Winchester An American Legend is i.. 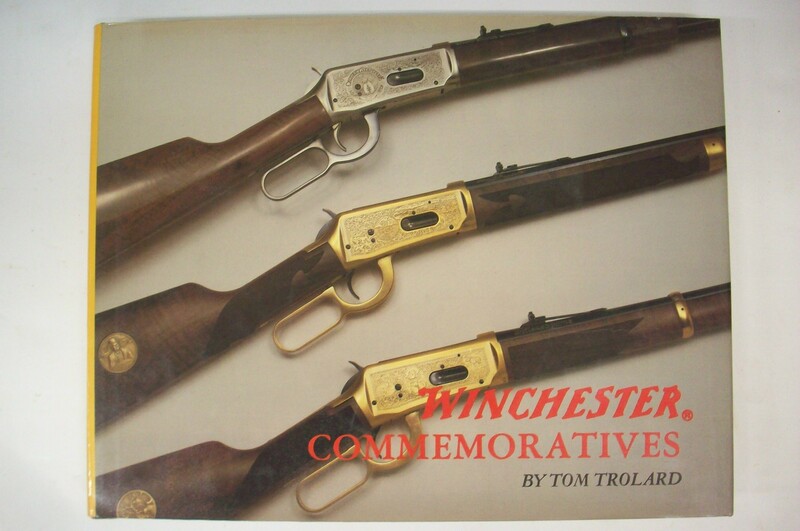 This 9" tall x 11 1/4" wide 184 page hard cover book titled: Winchester Commemoratives by Tom Trolar.. This 11" tall x 8 1/2" wide colorful 208 page hard cover book titled: Winchester Rarities is in exce.. 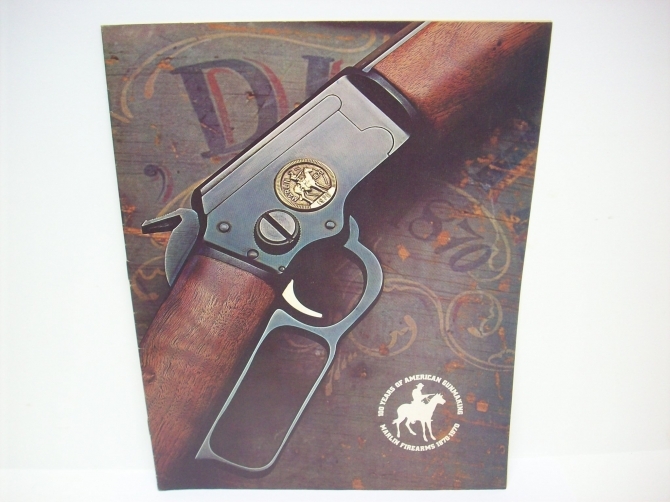 This Winchester Western 5 1/2" x 8 1/2" 44 page soft cover catalog was issued on May of 1973 and is .. 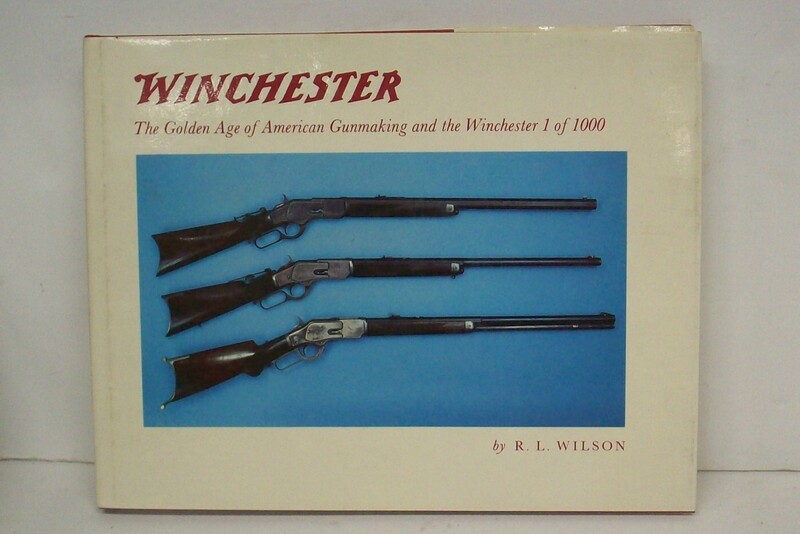 This 11" tall x 9" wide 144 page hard cover book titled: Winchester: The Golden Age of American Gunm.. This revised 11/20/91 Thompson / Center manufactured 63 page instruction booklet titled "Shooting Th..